Traveling? Start your travel off on the right note when you ship your luggage so it is already waiting for you when you reach your destination. Let us pack and ship your skis, golf clubs, strollers and more. We’ll ship your luggage and packages ahead to your destination. Plus, if you do some shopping on vacation it’s easy and convenient to ship those souvenirs home. Airlines are now charging more for transport of golf clubs and additional luggage! Let us help you save some money and simplify the process! We offer full service packaging and shipping via all major carriers. We will give you tracking information and estimated arrival of your luggage. Shipping your luggage ahead of time is a convenient way to travel. Avoid carrying your luggage from and to airport. 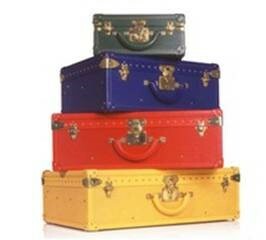 Don’t pay excess baggage fees. Have your luggage waiting for you at your destination. Real time Tracking of your luggage. Value protection of $100.00 per item is included.